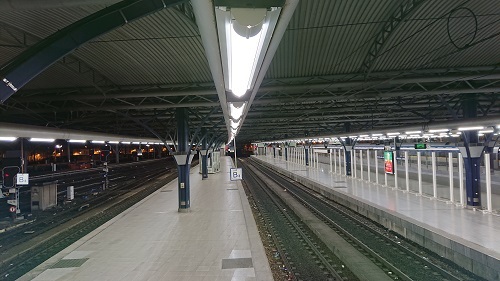 At track 1 to 6 of the Brussels Midi trainstation the lighting installation is renovated. The old high fluorescent fixtures are replaced by high efficiency lighting fixtures. For this project BB Lightpipe developed a custom made version of the BB Lightpipe EVO which can be mounted in the existing cable trunk. The cable trunk also contains audio speakers, camera modules and railway signs. The customer chose the BB Lightpipe because of its glare free quantities. 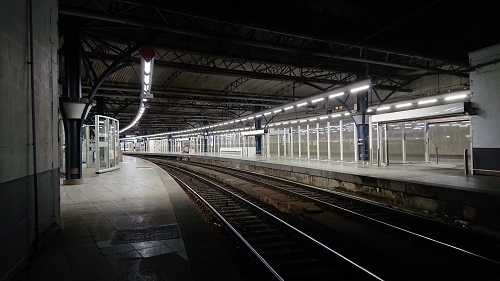 In a train station it is vitally important lighting doesn't lead to blinding of the train operator. The BB Lightpipe is a high quality fixture with a very long lifetime. There is no need for any replacement parts in the next 12 years or more. This means maintenance cost is very low. At a railway station this is very important because maintenance can be very expensive.